One of the victims of the disgraced Manhattan dealer Ezra Chowaiki has filed a fresh complaint in the New York Supreme Court against three London dealers saying they should return a Marc Chagall painting that Chowaiki sold to them under false pretences. Last September, Chowaiki was sentenced to 18 months in prison for his elaborate multi-million-dollar fraud scheme which involved selling art, purportedly on consignment, without the owners’ authorisation. 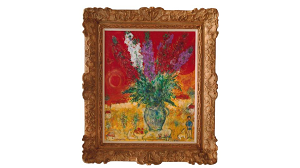 Among those works, court papers say, is a 1971 oil painting by Chagall, Bouquet de giroflées, which the Pennsylvania collector Rick Silver purchased from Chowaiki for $1.2m in 2015. According to the lawsuit, Chowaiki then duped Silver into sending the painting to the Chowaiki Gallery “under the false pretence” that he would sell it on Silver’s behalf. 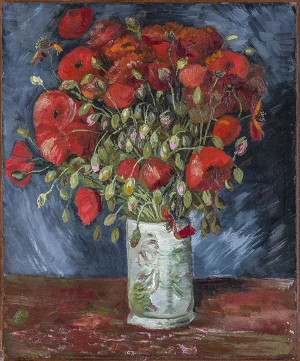 Without his knowledge or consent, Silver claims that Chowaiki sold 25% shares in the Chagall for $250,000 each to a group of London dealers: Hugh Gibson, Alon Zakaim and David Breuer-Weil. 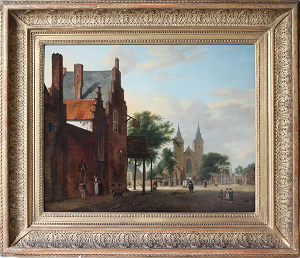 They, in turn, sold the painting to another collector and are now being sued for its return. The dealers all “vigorously contest” Silver’s claims. However, Silver alleges that the London dealers ignored numerous “red flags” when it came to the purchase, failing to perform the “most basic due diligence”. According to the court papers, Chowaiki told the dealers that Silver was technically “the only rightful owner” of Bouquet de giroflées, yet the defendants made no effort to establish whether Silver had been paid. Furthermore, had they searched the publicly available UCC-1 financial statements they would have found that Chowaiki had already taken out a loan with the private finance company Borro using the painting as collateral. Silver says he had no knowledge of the loan. Three Alexander Calder paintings and a pencil drawing by Fernand Léger are also listed as having been used by Chowaiki as collateral for loans. In November 2017, Chowaiki Gallery filed for bankruptcy, shortly after the Chagall painting was sent to London. In April 2018, Silver filed a claim asserting his ownership of the work and his right to recover it. For U.S. residents, tax day is April 15th. 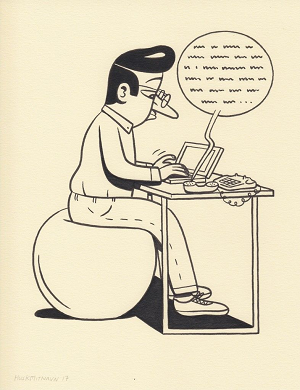 And if you’re an artist, filing your income taxes is probably not so straightforward. 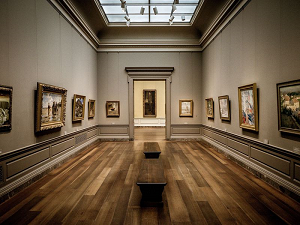 Like other professionals who work in a freelance capacity, artists typically earn untaxed income that they must report to the IRS—and if the artist had a clear intent to make a profit, their practice is considered to be a business. That means they can file a Schedule C form (which is designated for small businesses) to report earnings or losses and deduct expenses. But what counts as an expense? How should artists keep track of these things? And is it necessary to hire an accountant? We recently spoke to artist and accountant Hannah Cole—who counts many artists among her clients—for some basic tips to help artists navigate tax season smoothly. When artists report their income on the Schedule C, Cole explained, “you’re making an agreement with the IRS that you’re operating like a real business”—and that means you have a profit motive. People making art without a profit motive are considered hobbyists and cannot deduct expenses, she added. Losses and a lack of income may make it hard to prove a profit motive—but you still can. You can be “applying for grants, doing your bookkeeping, and in general behaving like a business—trying to circulate your work and get it sold,” Cole said. Having dips and spikes in income over the years is part of what can make filing taxes tricky for artists. You might win a sizeable grant and sell many pieces one year, and then have very little income the next. “But side hustles are the American way, so that is okay,” Cole said. “You can have a legitimate business that you do nights and weekends in your garage.” What’s important is to maintain a profit motive regardless. However, issues may arise if you report losses on your Schedule C too frequently and you have other income: Losses can shelter that stream of revenue—essentially becoming a tax shelter. If that happens too often, it starts to look suspect. “The IRS may rightfully question whether you actually have a profit motive, or if you should actually be listing your art as a hobby (which means not taking any expenses as deductions),” Cole explained. In order to prove that your art practice is not a hobby, you should be able to have proof on all nine points of this hobby loss test. If you have a clear profit motive that you can prove with documentation and you’re not making an income from your art, one thing you can do is opt not report all of your expenses. “You don’t have to claim deductions that you’re entitled to,” Cole said. “It’s illegal to not claim income that you make—you have to report your income, there’s no messing with that. But if you want to not report all your expenses, that’s a privilege, not a right.” If you don’t report all of your expenses, she added, you’re effectively overpaying your taxes, which the IRS permits. Keeping track of your expenses is to your benefit as an artist. Expenses can include obvious things like art supplies and studio rent, but they can also be costs relating to a studio space in your home, and portions of your phone and internet bills. You can also include museum trips and research expenses if they relate directly to the work you are making, as well as travel. For example, you could deduct travel expenses if you attend art fairs and make appointments in advance with curators and collectors. You could also take into account the cost of driving to see shows or purchase supplies. The IRS expects you to operate as a business, so, in step, you should have separate bank and credit accounts for your art practice. “As a professional, you should not be commingling business and personal expenses on a single credit card or in a single bank account,” Cole explained. Another benefit of doing this is that it makes filing your taxes and gathering all of your expenses much easier. “Then, everything on that bank or credit statement is a deductible business expense,” Cole said. Another way to organize your expenses is to keep a folder for digital receipts on your desktop or in your email, Cole said. If you do a crowdfunding campaign, all of the funds you received are taxable income. However, presumably, you’re crowdfunding in order to use that money to do something, and when you do, you can deduct those expenses, Cole said. “So as long as you document those expenses really carefully, they probably will offset each other,” she explained. Popular tax software programs that many people use, like TurboTax, are generally a good value, Cole said; they’re efficient and ask questions in simple English. However, they can leave you in the dark. She’s had several new clients come to her saying they’ve earned some income from their art and want to report expenses for the first time on a Schedule C, only to learn that they had been doing that for years through one such tax software, and were missing out on deductions. So, if the tax process feels unwieldy and you’ve never filed a Schedule C before, you may want to seek out an expert. An accountant or tax advisor can help you make sure that you’re not missing out on deductions you may be eligible for, and that you are properly adhering to tax code. 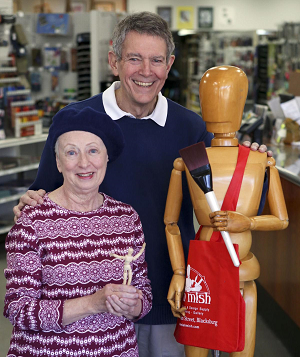 Local art supply store Mish Mish will close later this summer, ending a 49-year run as the go-to life preserver for procrastinating art and design students at Virginia Tech. Owners Steve and Debbie Miller wanted to make it to 50 years, but a confluence of declining health and rising rents and online competition made that impossible. The business was founded as Apricot Enterprises in 1970, when the Millers and a couple of other business partners were third-year architecture students at Tech. The group had grand plans for a chain of stores on various college campuses that would carry specialized tools for architecture, art, engineering, interior design and graphic design classes. The company would cater to students and keep its shelves stocked with high-quality materials not available at most craft stores. The group changed the name to Mish Mish, a play on the Arabic word for apricot, when they opened the first location in Blacksburg. They had $300 and a loan that a couple of their professors had to co-sign. But then reality caught up with the young entrepreneurs. Mish Mish would not grow into a national brand, but would instead become one of Blacksburg’s longest running and most cherished downtown retailers. The owners worked second jobs, continued taking classes and didn’t withdraw salaries for the first few years as they poured everything back into growing Mish Mish. The store moved three times from an upstairs apartment to various basements before landing its first storefront with an office window in 2001. It tried to expand into Roanoke in the 1980s, but that location struggled and ultimately closed as more and more college design work went digital. The business was founded by college students for college students, an ethos the owners still stand by today. Mish Mish is open until 10 p.m., about the time many students realize they don’t have all the materials they need for tomorrow’s assignment. The Millers have a philosophy against trying to upsell, but rather work with students to figure out what they need. The store has expanded beyond just the students. It has a custom frame shop, an art gallery displaying work by local artists, children’s craft supplies and everything a local artist would need. The Millers, who own the business along with a third silent partner, probably could have sold the store and retired. But they said they wouldn’t feel right if the next owner wasn’t able to be successful. And the idea of selling to a big chain after almost five decades of carefully building a reputation didn’t seem right either. Wheeler, of Virginia Tech, said there are online options for his students, but he’s not going to forgive late assignments from those who don’t build in enough time for Amazon’s two-day shipping. He added that online shopping doesn’t work well when it comes to finding specialized papers, over-sized foam boards or a pen that feels just right. The notion of leaving the business first came up after Debbie Miller was diagnosed with stage 4 breast cancer nine years ago. The Main Street storefront Mish Mish originally leased for under $5,000 per month had risen to $8,000 per month – and up. So Mish Mish decided to sign a shortened three-year lease, which is set to run out this August. Before that came up for renewal, Steve Miller was hospitalized in November with a subdural hematoma. Analysis later revealed he had lymphoma. “So the family that cancers together, stays together,” Debbie Miller joked. Steve Miller finished rehab in December and was back at work two days later. Today, both Steve and Debbie Miller keep an eye on the store with the same meticulous attention to detail as always. But things just aren’t the same, they say. Suppliers for products like Sharpie have stopped selling directly to smaller shops. That means the store has to pay more for its merchandise, but now shoppers walk through the aisles with phones comparing everything to Amazon. “Retail is not as fun as it used to be,” Steve Miller said. Mish Mish has enough supplies to get Virginia Tech students through all the big projects due at the end of the semester. This summer the Millers plan to start discounts with the goal of closing entirely in July. After so many years in downtown Blacksburg, the couple has had a front row seat to the changing times, as more and more local retailers have been replaced with chains, restaurants and bars. Lana Cease loves light and loathes rules. Note these essentials in trying to understand her work. Artists sketch a “study” as experimentation, sorting out problems in advance of creating an ambitious final work. Cease tackles her watercolor problems with a camera and Photoshop. “I probably would get kicked out by the artist police,” she concedes. The Nodaway County woman embraces art as, pardon the expression, a rule-breaking discipline. Her eye as a photographer, a practitioner of captured light, blends with her explorations in painting. Why not use all the tools you possess as a means to the finished piece? Her photography business, Cease Fire Studios, resides a couple of blocks south of the courthouse in Maryville. She started this in 2007. Her home, about eight miles away, serves as a nocturnal base for her other art. There, she drives crazy her husband, Gene, by switching on lights and never switching them off. “I’m a light person,” the artist says, just resigned to it. 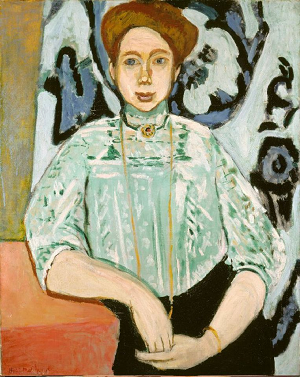 Cease had a genetic predisposition to this life, her mother a painter who worked in oils. Growing up in a small town near Bedford, Iowa, — “the last census was 40 people” — she drew from a young age and even got some early commissions. In lower grades, what she describes as “the first unicorn phase,” she would draw the horned creature and sell the art to friends. In high school, where she took art classes for four years, Cease dabbled in photography, largely forsaking both endeavors after graduation. She revived her interest in painting in 2012 when Gene bought her a gift of watercolor classes being taught at the Albrecht-Kemper Museum of Art in St. Joseph. The techniques felt familiar and foreign all at once. 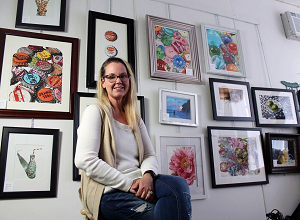 As her skills increased, Cease began to enter group exhibitions and have success. Her momentum got helped along by demands she made on herself to try new things. “I challenge myself because I’m not going to get better if I don’t,” she says. Writing out artistic goals at the beginning of each year, she approaches new possibilities with no fear of aiming high and missing. Once, the artist felt compelled to paint things reflective. Cease pulled out a Ball canning jar and three marbles, and the subsequent work sparked in her the theme she needed for a solo show at the Albrecht-Kemper. As she cultivated new ways of portraying reflections, along with working in increasingly bigger scales, this particular artistic output led her to some self-discoveries as well. With its soda caps and pop bottles, Cease recognized a nod to small-town life, something homespun arising from memory. “I started looking through the body I was creating, I realized I was creating happy memories from my childhood and I didn’t know it,” she says. Beginning anything new, Cease has a routine that works for her. The artist does not lack for confidence. She just doesn’t want to get too comfortable. Danielle Braxton, ISCRC’s creative forces program manager, leads group and individual art therapy sessions as a means of working with those enrolled in the clinic’s program. 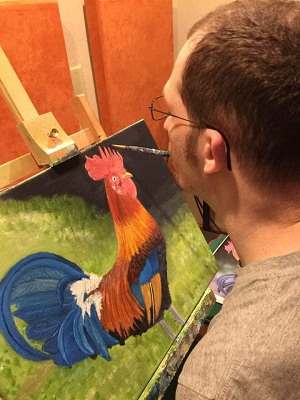 Art therapy isn’t an art lesson, Braxton explained, but rather a way of introducing different materials to patients to encourage the creative process of art making. Most of the sessions are focused on creativity, with time to discuss pieces once the patient has decided they are finished. It is these moments of explanation of their pieces that introduce the therapy, Braxton said. The most common project associated with art therapy is the creation of a mask. Many of these masks are on display at ISCRC. 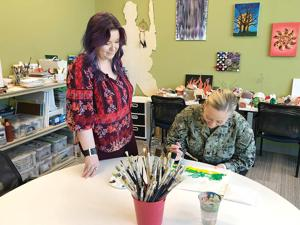 Braxton’s passion for art and helping heal those working through treatment are highlights to her job as an art therapist at NMCCL. Helping those in uniform adds an additional level of “honor” and drive for Braxton in being able to provide art therapy. 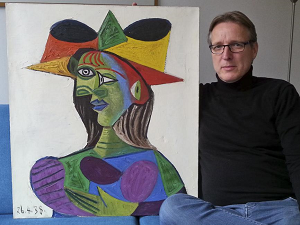 A Dutch art detective said Tuesday that he has recovered a valuable painting by Pablo Picasso 20 years after it was stolen from a wealthy Saudi's yacht in France.